August E. Grant, Amanda F. C. Sturgill, Chiung Hwang Chen and Daniel A. Stout. 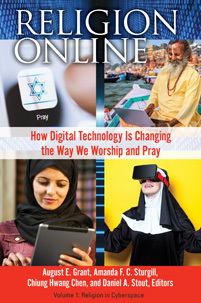 Religion Online: How Digital Technology Is Changing the Way We Worship and Pray [2 volumes]. Praeger, 2019. ABC-CLIO, publisher.abc-clio.com/9781440853722.